Awhile back, I posted a few items that were inspiring me. One of them was a tote bag by the company Fabric and Handle. Salinya, the talented woman behind these bags, reached out and contacted me and we struck up a bit of an email conversation. I had a feeling that these satchels would be very popular with my readers and I asked her if she would be willing to do a giveaway. Luckily, she said yes! The tote bag Salinya is giving to one of my lucky readers is from her new line of bags. This version of the tote bag is designed to function both as an everyday bag and as a shopping bag. It has a new spacious outside pocket with magnetic snap closure, soft double rolled leather handles, extra strong stitching, leather trim, and a leather patch on the bottom to reduce wear and tear. It also comes in a variety of colours and patterns. In order to enter the giveaway just leave a comment on this post telling me which version (they have cute names like Geneva and Kyrie) of the tote bag you would choose. The giveaway closes at midnight (EST) on October 9th. This contest is open to all my readers (International, as well!) so enter away. 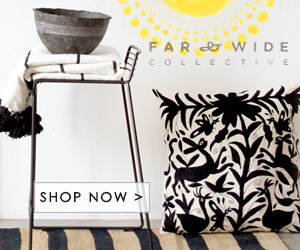 You can also visit Fabric and Handle's facebook page to receive a 10% discount code to be used on any purchase. I'll announce the winner next Tuesday, October 11th. There's nothing I like better than a bag that is both functional and beautiful. The hardest part will be deciding which one to pick!